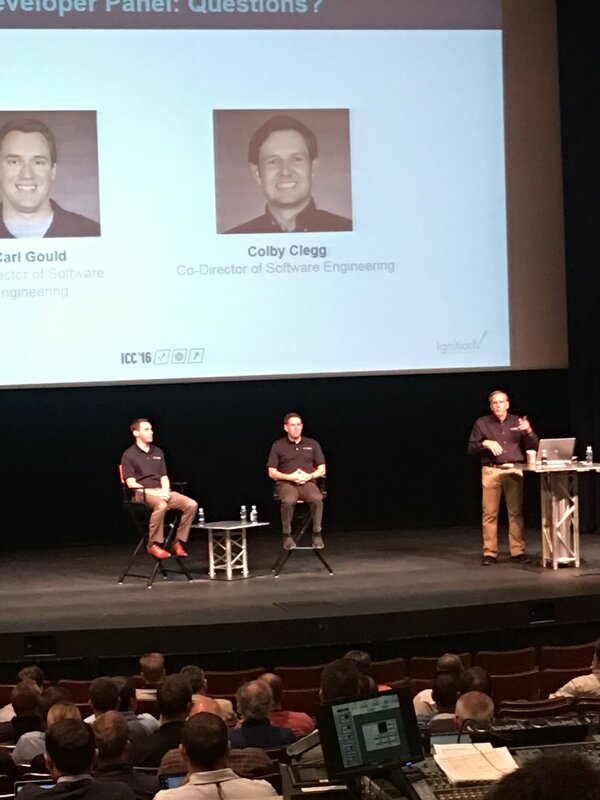 Yesterday Inductive Automation's Ignition Community Conference (ICC) 2016 concluded at the Harris Center in Folsom. The final day's programs included a presentation by the Inductive Automation lead developers, Colby Clegg and Carl Gould, about the planned future direction of Ignition, followed by a question and answer session on that topic. They laid out the tentative plans for Ignition 8.0- the highlight being HTML5 page rendering for improved mobile experience- and a tentative schedule for the fall of 2017. Other programs attended included a technical seminar on the use of OPC-UA technology in the Internet of Things, cyber-security in control systems, and advanced python scripting. It should also be mentioned that several vendors had tables at the conference for the entire week, showing some very interesting products that fit into the Ignition eco-sphere and work in the real IIoT world. The vendors included Bedrock Automation, Moxa, Magnetrol, Advantech/B+B, Kepware, Opto-22, and Hilscher. The conference was a success, especially in regard to the interactions with Inductive Automation staff and the networking opportunities provided. This year, North Point Technology was recognized publicly for reaching the status of Premier Certified. We plan to return for ICC 2017 next year with a project to enter in the Showcase Gallery. If you are interested in seeing what the Ignition platform can do for you, contact us! We will set up a discussion and live demonstration, over the web or in your facility.